Conveniently located just 1 mile from McCarran airport, this new off-strip venue was thoughtfully constructed to accommodate events of all sizes with more than 350 spaces of complimentary on-site parking. Enclave offers unique spaces and features that are difficult to find when scouting Las Vegas hotels for meeting and events. 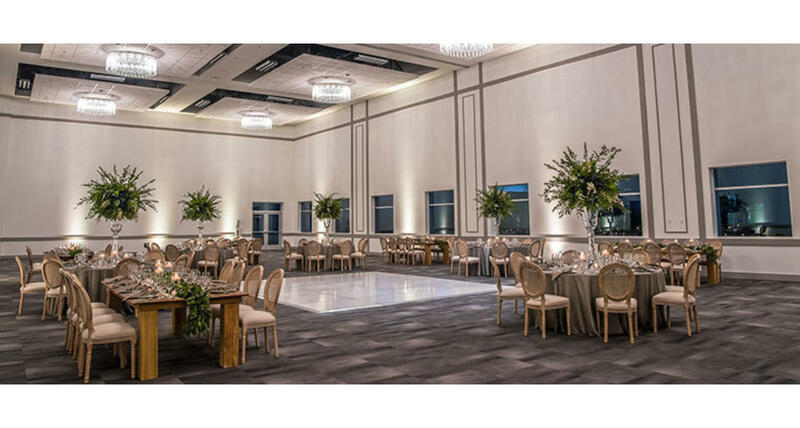 The contemporary Madrigal Ballroom was designed with ten windows overlooking a quaint outdoor garden setting, making it a refreshing new spot for all day meetings, weddings, and gala events. The Enclave signature room provides 9,000 sq. ft. of unobstructed space for tradeshows, exhibits, and larger scale productions. Access to outdoor sunlight and fresh air is just a few steps away from several versatile meeting rooms and break-out spaces. Impressive panoramic views of the Las Vegas Strip can be enjoyed from a private rooftop deck that is available for cocktail receptions and VIP parties.